Fall is upon us and along with cozy sweaters, boots, and for those who indulge, Pumpkin Spice Latte's, also comes the joys of Fall TV. With most people hitting the road in the summer, summer TV tends to feel like the filler it is, and we await the return of Fall shows with baited breathe, wondering how those cliff hangers will be resolved. I have a select few shows I am waiting for (what can I tell you 'spare time' is as elusive as a Unicorn for me as of late) - there are very shows I watch during live airing (I usually watch 'on demand' so for me to watch a show during it's live airing is saying it all about how much that show means to me) - one of the shows I can't wait to see return is NBC Television's This Is Us. This Is Us Season 2 Premieres Tuesday, September 26 at 9pm on NBC. If you haven't watched Season 1, you need to get on that. Like NOW. Be sure to have your snacks and beverages handy - you are NOT going to want to move, and be sure to have Kleenex on hand butterflies, this show will literally give you ALL the feels. Not some feels, but literally: ALL. THE. FEELS. Chosen by the American Film Institute as one of the top ten television programs of 2016 and nominated for 10 Emmy Awards including Outstanding Drama Series, "This Is Us" chronicles the Pearson family across the decades: from Jack (Milo Ventimiglia) and Rebecca (Mandy Moore) as young parents in the 1980s and 1990s to their now adult kids Kevin (Justin Hartley), Kate (Chrissy Metz) and Randall (Sterling K. Brown) searching for love, fulfillment and healing in the present day. This grounded, life-affirming dramedy reveals how the events in our lives – both big and small – impact who we become, and how the connections we share with each other can transcend time, distance and even death. Chris Sullivan, Susan Kelechi Watson and Ron Cephas Jones (who is AMAZING!) also star. This Is Us (Music from the Series), a companion to the show America loves, is available September 15 via UMe. This Is Us: The Complete First Season will be available on DVD three days earlier so fans can relive all the moments along with the music from the hit show. 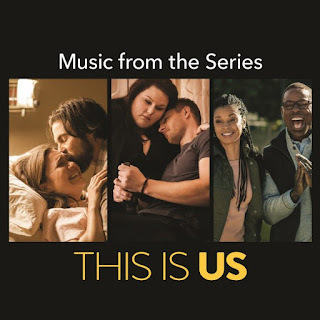 With instantly recognizable hits and classics, an original song and a compelling score, the soundtrack features 20 songs curated by “This Is Us” Creator/Executive Producer Dan Fogelman and his team, music supervisor Jennifer Pyken and composer/musician Siddhartha Khosla. Each musical element is carefully woven throughout the series, with the songs clearly defining a moment or serving as a gentle guide through the complex emotional journey. I am going to keep this post spoiler free because if you haven't seen the show I don't want to spoil it. 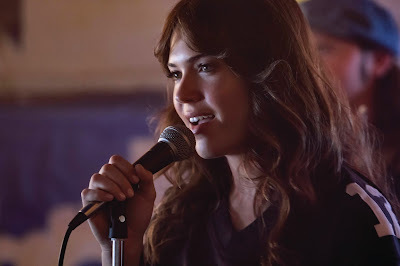 One of the plotlines includes Rebecca Pearson, played by Mandy Moore, a mother with dreams of a career as a professional singer who eventually does attempt to live out this dream and we see her sing Little Feat's "Willin'" in one episode, the track is also included on This Is Us (Music From The Series). "Death With Dignity" by Sufjan Stevens which fans will recognize from the series' debut episode. "We Can Always Come Back To This" a song that was part of Season 1's pivotal "Memphis" Episode - this soulful, Stax-Inspired song must have really resonated with the show's audience as it topped Billboard's Blues Singles chart at No.1 for FOUR consecutive weeks and reached No. 12 on iTune's Top 100 chart. And in keeping with the show's theme of family and family relationships, not to be missed is Goldspot's "Evergreen Cassette (Tape Mix), drawing on Siddhartha Khosla's personal experience of living in India with his Grandparents while his parents were working in the United States and attending Graduate School. His sole method of being able to communicate with his parents at the time was with a evergreen-colored cassette tapes by his mother, who would speak to him, sing songs and tell him stories. and the tracklisting concludes with the "This Is Us Score Suite"
If you are anything like me and can mark pivotal moments in your own life with music, then you need to win a copy of This Is Us (Music From The Series)! Winners choice of physical CD or Digital Download, you're welcome! I would not survive my commute into the city each day without music. Literally. And right now in the midst of New York Fashion Week, Fashion Shows are putting tons of songs in my head. My ride home consists of good tunes and trying my best to tune out the many sounds of New York City (I am a public transportation commuter so trust when I tell you there are A LOT of sounds to tune out!). Relationships are the crux of the show, but what NBC This Is Us does is make 'real life' not just relatable but instead of the theme being something you want to escape (we all have familial relationships right), they make it something you literally can't wait to come back to each week. 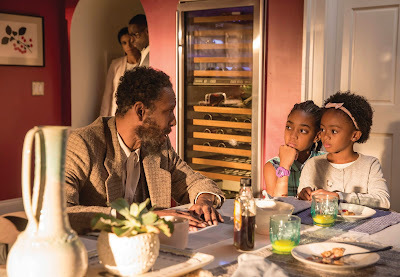 The entire cast is amazing but Ron Cephas Jones as William is the show standout from Season 1 and for those who watch regularly Toby and Kate played by Chris Sullivan and Chrissy Metz were giving everyone relationship goals, and I can't wait to see how they develop in Season 2. (Season 2 and Season 3 of the show have been given the green light). There are literally only four shows that get my FULL attention, I mean no laptop/phone and I go entirely device free - This Is Us, Game of Thrones, Ray Donovan and Shameless. They are wildly different, yet technically they aren't - doesn't EVERYTHING revolve around relationships in some form or another? READERS SOUND OFF: What show are you most looking forward to seeing return? If you watch This Is Us who is your favorite and why? And for true show die-hards, lets challenge you a bit more: Do you remember which scenes go with each song? FTC Disclosure: This is a compensated post sponsored by One2One Network and UMe, all opinions are 100% my own! I am disclosing this in accordance with the Federal Trade Commission 16 CFR, Part 255 - Guides Concerning the use of endorsements and testimonials in advertising, you may check our Giveaway and Disclosure Page for additional information regarding Ascending Butterfly Disclosure. I have never seen this show, but I have heard lots of buzz about it. I need to sit down and catch up. I love This is Us. It's an excellent show on every level. If it doesn't come back soon, I'm going to get the shakes! I did not watch this, so I want to see it I am intrigued. I will try and get it on demand. I also want to listen to the music. 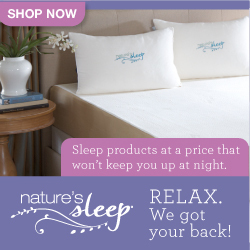 I cannot wait until all the new stuff comes on in the next week. I am seriously going to shut off my phone and just binge watch. My husband and I really enjoyed the first season of This Is Us and look forward to the show's return in just a few weeks. I remember the music being phenomenal, so the thought of winning the soundtrack sounds fun! I love This Is Us and I can't wait for it to come back on. Thanks for the giveaway! This Is Us is so good! Though it makes me cry every week. I've never watched this and I had no idea it had been nominated for so many awards. 'Sounds like I need to check it out. Wow now that is a great soundtrack! Songs from MY era! I know I should be watching this but I have yet to do so. I have it on my watch list - just so many great shows to watch! Thanks for the gentle shove to get on it! It's such a beautiful show and I can't wait for season 2 as well. It has touched so many lives! The soundtrack is always one of the things that helps make a show better and more engaging. I really like theirs. That's really awesome! I love looking at soundtracks for shows or movies that I like, they music contributes so much to the scenes. That's one beautiful show and I'm also waiting for season 2! It's really moving. I've always been curious about the soundtrack because I really like the songs that I hear when I watch it. Thanks for this list. We really enjoyed this show! I'm definitely looking forward to seeing where things go when it returns. I am obsessed with fall TV. It's ALL my favorite shows. It makes me so antsy every year! So many of my shows are ready top start back up. I am ready for sweaters and fireplace hangs. I have This Is Us on the lineup to catch up on after we finish watching Boardwalk Empire (yes, I am always late to the game when it comes to shows!) I am also looking forward to The Walking Dead's return. That is one that always gets my full attention. This is great. I love all of the music on that show. And yes I do miss it! I have never actually watched This Is Us. I keep hearing about it from my friends. I would love to win this! I love This Is Us and cannot wait for it to come back on the 26th! Fun! I totally love this show, so beautiful! I heard great reviews about this and I think I should start watching. Havent seen it yet. Looks like a good one to see. I haven't actually seen this before. However, it sounds interesting and may be on my next to watch list. Walking with my mom to the bus stop in the summers when I was little (it was a mile away and boy did she walk fast) I went every morning and met her again in the afternoon. I have to confess that I have not seen this yet, but it is on my list. I have heard so many great things about it. I can't believe season two is already arriving. I will need to catch up! This is one of my favorite shows. I really cant wait for this show to return this month I am getting my tissue ready! It seems like everyone is watching This Is Us, but me. I totally need to catch up. Getting the music sounds like a fun way to get into the show. I love me some This Is Us and I think the soundtrack has some amazing songs on it!! I need to check it out for myself!! I haven't seen this show yet, but I've heard really great things about it. I would love to watch it! I have not watched this show, even though I think everyone I know loves it. I will have to start! I have never watched this series, I have heard such great things about it. I did not know they had awesome music as well. They won a lot of awards! I love this show! I am so excited it is coming back soon. Thanks for the giveaway, I hope I win! I never saw this show but I keep hearing great things about it. I am totally going to check it out now for sure. I really want to see this show but only have netflix. I really hope to be able to see this some day. Great giveaway. I love this show and to have the soundtrack will keep me wanting for more seasons! Thanks for the giveaway. Hope I win! If this show ever winds up on NETFLIX I will watch it. I have never seen this show, but have heard nothing but good things. Thanks for sharing. Looks like you're really into this show, it's always great when something really resonates. I haven't seen this series before. Maybe I should start watching it!